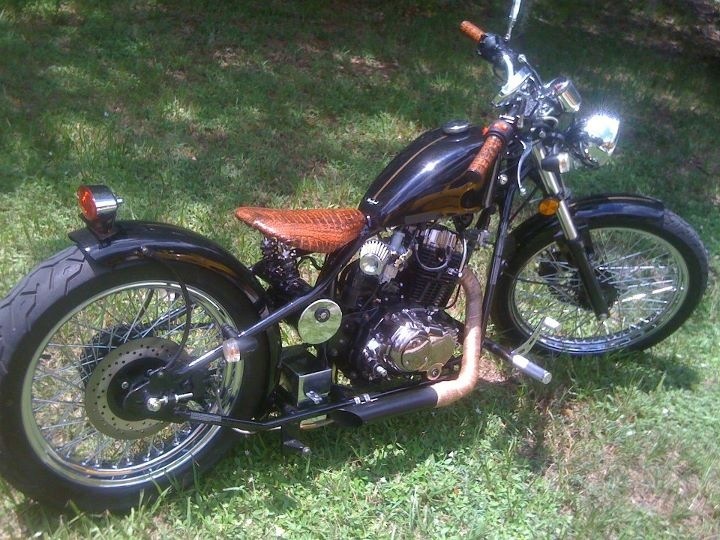 Newbie to the bobber culture, but been a fan for a while. Finally bought one about a month ago. Glad to know u guys are local. U will be getting my business. MetricBobber had the chance to speak with Scott Colosimo, founder of Cleveland CycleWerks (CCW), and bring you this post!! Cleveland CycleWerks is a global company that sells worldwide. If you’ve never heard of them, they are manufacturers of standard bikes, custom bobbers, cafes & dirt bikes. Many of us start out customizing a few things here and there on our bike and then move on to building a bike from the ground up. Just like us, Scott Colosimo did just this but has brought his work to a larger audience. Started in 2009, CCW develops motorcycles for their own brand, and scooters, four wheelers and side by sides by contract for other OEM’s. They have a full line of motorcycles under the Cleveland brand. Scott also owns a separate parts, accessories line called Cleveland SpeedShop, which is independent of Cleveland CycleWerks. 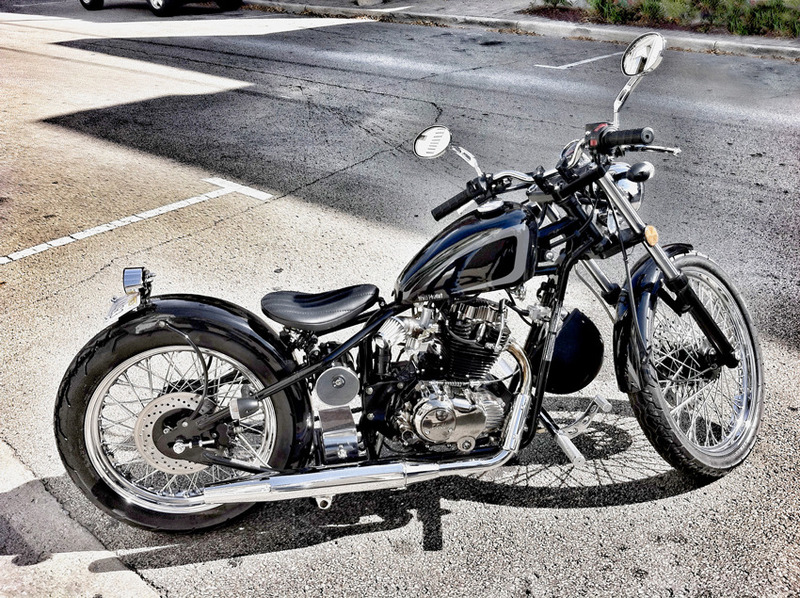 In addition to this, they also run a separate business, a full custom shop called Cleveland Motorcycles. Their build process includes full design/development and in-house engineering. CCW now has 2 design and prototyping/testing facilities. The prototype and in-house testing, allows CCW to thoroughly and continually test their products which allow for constantly improving their product. Take this and partner it with qualified manufacturers worldwide, CCW delivers a quality product with a very reasonable price point. With a worldwide dealer network, chances are there is a dealer near you. Visit one and take a test drive. Check out Clevelandcyclewerks.com. Following are pics of their impressive lineup. Ace: "CCW's Ace is what we consider the "standard" motorcycle. Beautiful design, simple frame, low seat height and light weight. The Ace is a great commuter and perfect for around town with daily highway jaunts. This is yet another blank canvas from CCW. Ride it stock or make it your own. The Ace Standard is designed to look the part of your classic standard motorcycle, with many upgraded features that will not make it ride like a sled from the past. The Ace Deluxe is designed to serve a more dual purpose or scrambler look. With aluminum wheels, huge disc brakes, inverted forks, a slightly raised front fender, wide bars, dual surface tires and a flat comfy seat. The Ace deluxe is a slight upgrade from the "standard". The Ace Cafe' and Ace Scrambler are 2 limited production variants. Not available in all countries, and built to a limited production volume of these variants, produced only by special request from CCW’s worldwide group of distributors. With over 80MPG and 70MPH+ cruising, priced under $3300 (in the USA) and a beautiful classic look. The Ace is sure to make you feel like one." Click here for Ace Details/Specs. 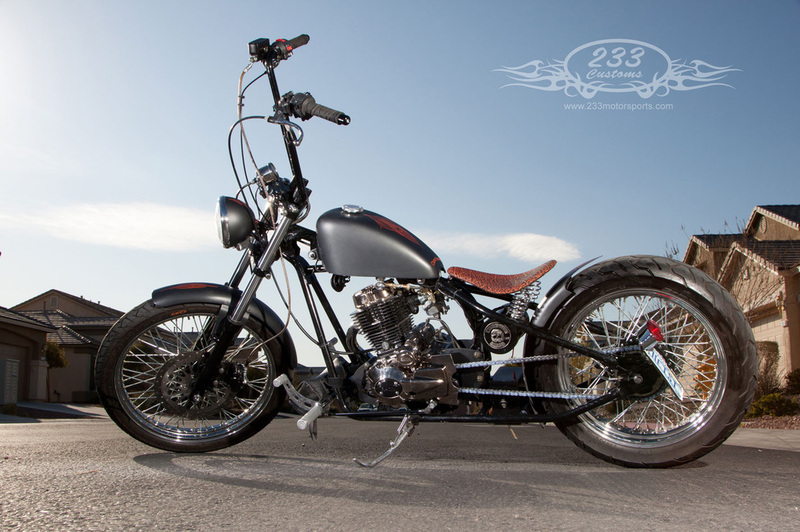 The Heist: "CCW's Heist (Iron One in Thailand), was the first ground up vehicle that Cleveland CycleWerks designed. The idea behind the Heist was to keep it simple. From a traditional frame, to a traditional style motor, no overhead cams, no 4 valve heads. Simplicity has its benefits. A simple OHV motor with 1 intake and 1 exhaust port keep parts complexity down, with providing plenty of power for cruising. The Heist was designed to be more custom then any major manufacturers current offerings. Simplicity is not easily achieved, but we feel that a beautiful balance was kept on the final design. Ride it stock or use it as a blank canvas. It's great to start with a solid platform to build any custom from. Cleveland currently has distributors in over 23 countries, please check with your local distributor if you want to know all detailed specifications. The Heist comes in several different motor configurations unique to each country." Click here for Heist Details/Specs. Misfit: "Cleveland CycleWerks produced the 1st generation Misfit from 2010 to 2015, and was a bigger success then they had imagined. It was the second model that Cleveland CycleWerks produced, with The Heist being the first. The original Misfit has already proved itself as great sporty commuter, while the 2nd generation Misfit is an all-new creation built from the ground up – and a significant step forward in both design and engineering for Cleveland CycleWerks." "This model best represents where Cleveland's new products are headed, as several years of R&D have gone into the Gen II Misfit. We have invested in highly trained people, bringing in additional research & development staff. We have also modernized our quality control staff and process with international ISO quality certification, and have expanded our footprint to include small volume manufacturing in Europe as well as South East Asia." Click here for Misfit Details/Specs. FXx/FXR: "The FXx is not a dirt bike, it is not a mountain bike, it is a cross between the two. A small, lightweight bike that can take you to places and allow you to do things that heavier and bigger bikes can't. The FXR, is a street legal version of the FX, with DOT / EMark headlight, tail light and turn signals. Cleveland included a digital dash with speedometer, and trip meter. The bike is keyed with a lock cylinder. Cleveland included large down tubes to accommodate a large Motobat high output battery. The on-road version comes with our Deluxe style, inverted forks. The handle bars sport a cross bar pad and cross linked handle bar risers for strength." Click here for FXx/FXR Details/Specs. Hooligun 250cc/450cc (X/R): "CCW's Hooligun represents a relationship with one of our strongest JV partners. 4+ years in the making, thousands of hours of testing. Factory riders and customers have been racing validating this model for several years. It is finally ready for CCW to release it under our brand with the improvements and lessons learned through the last several years. This model was not originated by CCW, but we have been brought onboard to ensure the bike would live up to our standards, with constant improvement over the last several years. OHC, 4 Valve, Liquid Cooled 250cc and 450cc motor, full aluminum twin spar style frame, aluminum linked rear suspension, on-road and off-road versions available." Click here for Hooligun Details/Specs. These are just a few pics of what CCW has to offer. www.clevelandcyclewerks.com has more pics of all their bike lineups. Head on over to check them out!